When Chris Morling, Managing Director of money.co.uk, a financial comparison website, set out to refurbish the company’s office in the Cotswolds, he faced both a challenge and a responsibility—a challenge in that the building was a Grade II listed castle, meaning there were strict guidelines on what can be done, and a responsibility, both to the space and to the workforce. “Looking after your team is paramount. Your team is your engine, so it’s really important you look after them and give them the best of everything. That stretches from how we work, to benefits, right through to the actual working environment. If you get that right, you have a strong, motivated team to drive you forward. You spend half your working life in the office, and I wanted to create a motivating, uplifting environment that gave them flexibility and encouraged collaboration,” says Morling. You spend half your working life in the office, and I wanted to create a motivating, uplifting environment that gave them flexibility and encouraged collaboration. 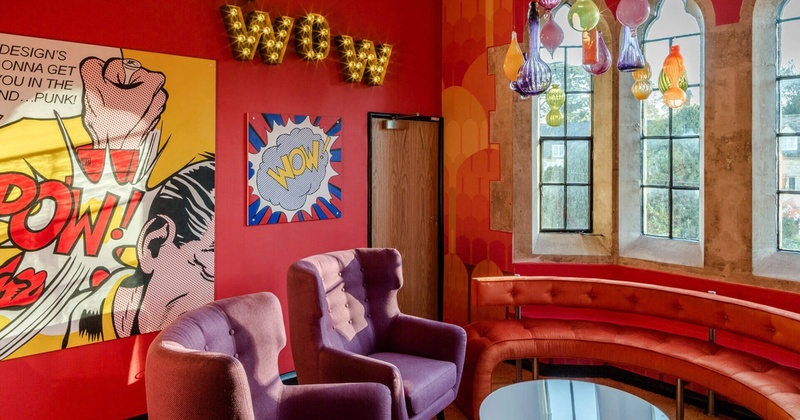 Knowing they wanted to respect the grandeur and heritage of the castle and, at the same time, make it a bit fun and wacky to reflect the personality of the company, Morling brought in Laurence Llewelyn-Bowen, a homestyle consultant and TV presenter who’s known for being far from traditional. “Something big and bouncy and brave had to happen to an unusual building; it needed someone like Chris to not feel it should be understated. There are lots of faddish, whimsical, patronizing designs that happen to offices, which I wanted to avoid. 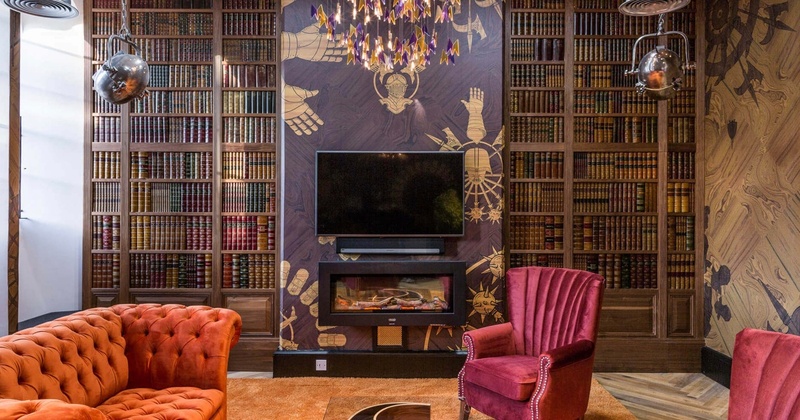 I wanted to make sure the relationship of my designs worked with the culture of the company, and the style and age of the building itself,” says Llewelyn-Bowen. The result is the creation of a workspace that’s “significantly changed how we work, making a massive difference in how we collaborate and how we have fun,” says Morling. The first phase of the project focused on functionality, with the aim of opening up and redesigning the space to support collaboration. Employees were brought together to ask what they wanted and needed to make their work both easier and more enjoyable. Their feedback led to the design of collaboration space, as well as space for quiet work and reflection, and—of course—fun. Every detail has been thought through, from the large screen to communicate to the entire workforce, to furniture that’s 100% flexible to move, to the workspace for wellness activities. The second phase involved weaving the company’s personality into the office, putting its own stamp on the design. This is shown in spaces such as a Star Wars cinema room, steampunk toilets playing classical music, an ice cave and a ski lodge, all showing the fun personality of the company. The new office sends the message loud and clear to employees, customers and prospective employees: That money.co.uk cares about its people. By doing things in a way that combines functionality and fun, the company has created an award-winning space for their “kings and queens” to work and play. It's important to design workspaces to support and drive functionality, not just fun. This ensures that it's not just a pretty place to work, but one that will drive results on an ongoing basis. Don't be afraid to bring your company's personality to your office design; it shows and reminds your employees and customers who you are and what you stand for.